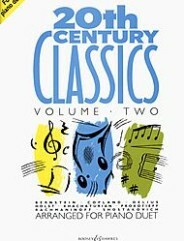 Contents: Tonight from West Side Story (Bernstein) • Intermezzo from Suite No. 1 for Band (Holst) • Troika from Lt. Kijé (Prokofiev) • Saturday Night Waltz from Rodeo (Copland) • Hoe Down fromRodeo (Copland) • On Hearing the First Cuckoo in Spring (Delius) • Theme from the Second Movement of Symphony No. 5 (Shostakovich) • Vocalise (Rachmaninoff) • Sabre Dance fromGayaneh (Khachaturian).